Light up your living room in glamorous style with this tall floor lamp. 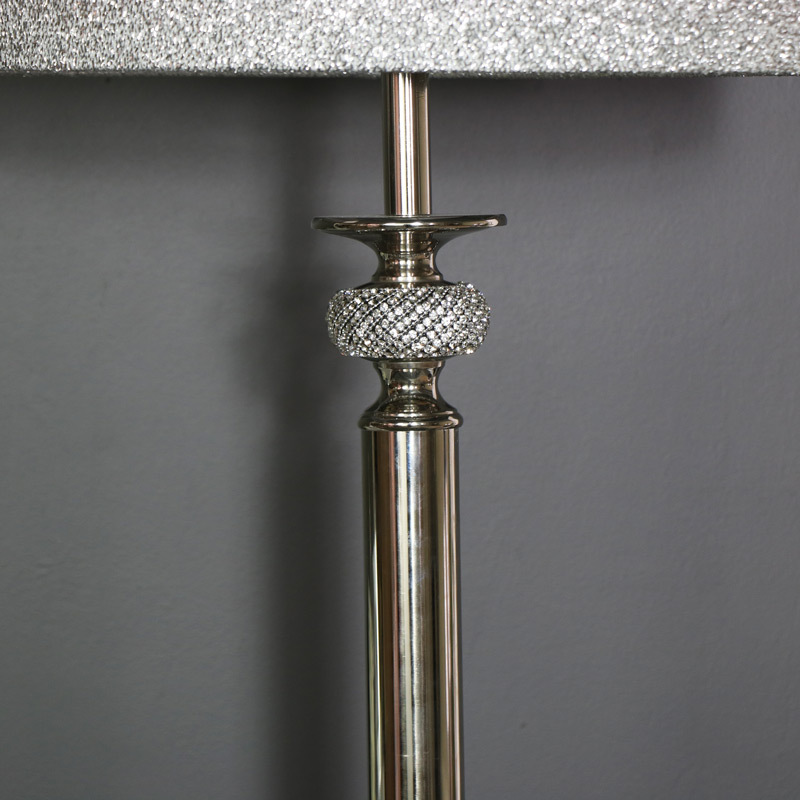 Polished silver nickel base with diamante detailing and a large silver glitter lamp shade. Give you home that sophisticated edge with added sparkle and glitzy glamour. This lamp will make a splendid statement to your living room as well as adding some extra lighting. 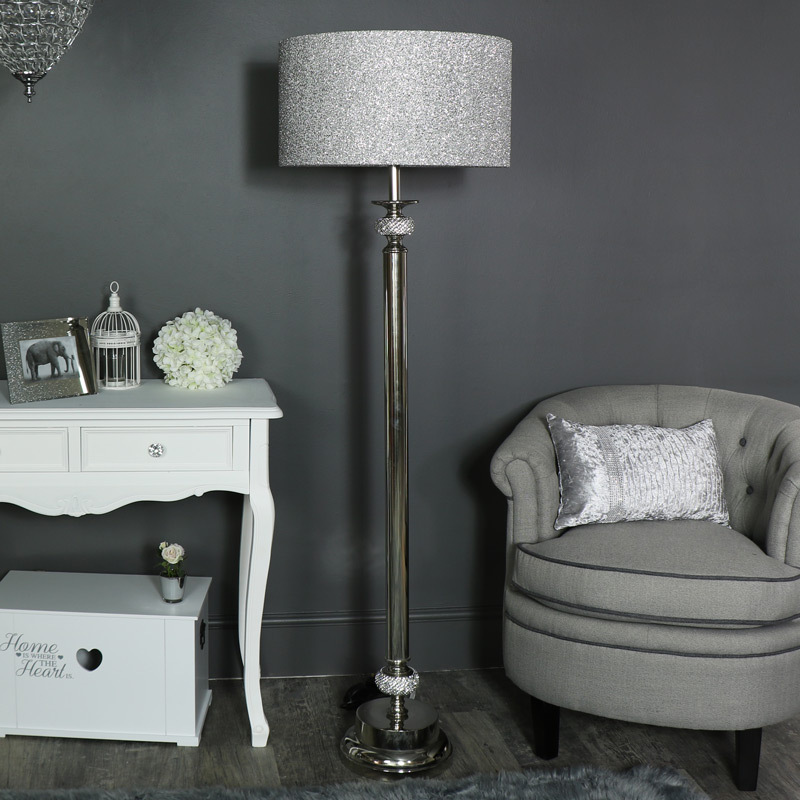 This floor standing lamp is a great addition to our range of silver diamante lamps, with a choice of table lamps to add to your decor. Light up your living room in glamorous style with this tall floor lamp. 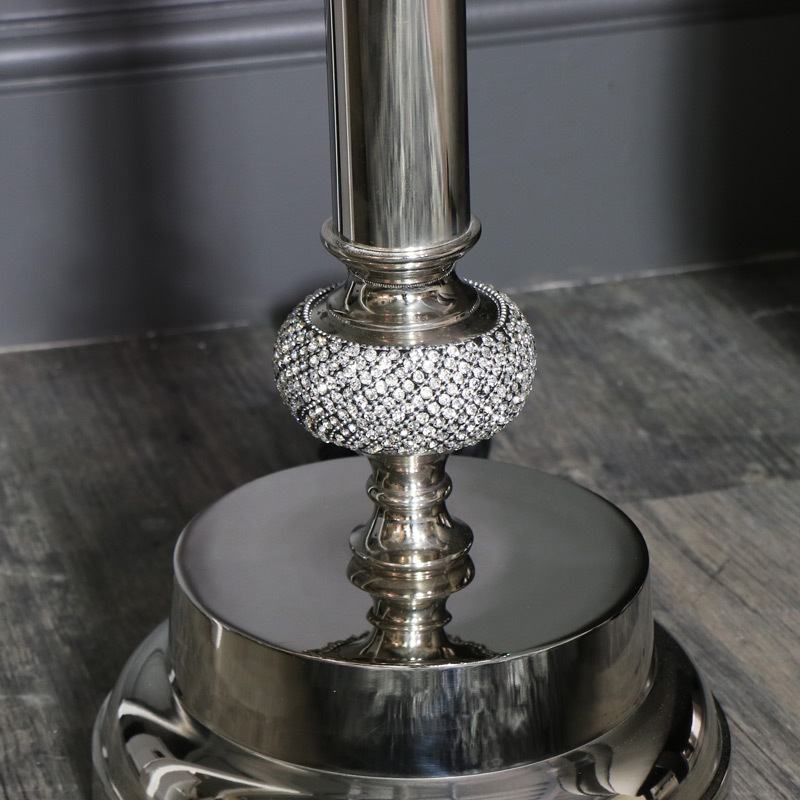 Polished silver nickel base with diamante detailing and a large silver glitter lamp shade. Give you home that sophisticated edge with added sparkle and glitzy glamour. This lamp will make a splendid statement to your living room as well as adding some extra lighting. This floor standing lamp is a great addition to our range of silver diamante lamps, with a choice of table lamps to add to your decor. This lamp is a fantastic addition to our growing range of lighting.